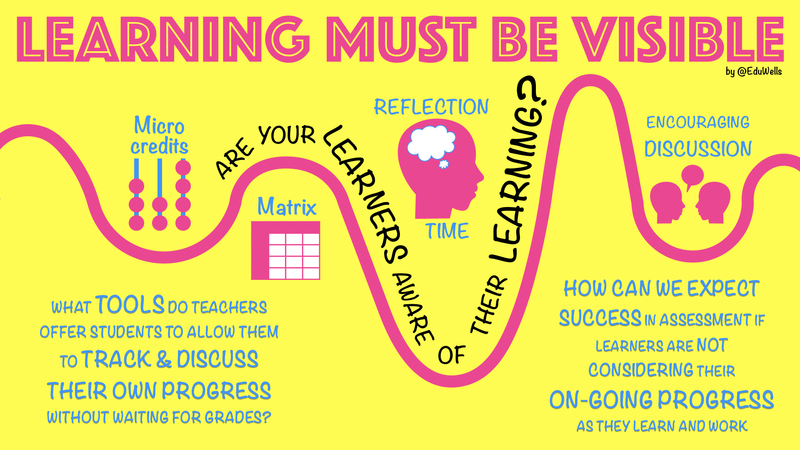 Call me crazy but … I’ve decided to stick with “Learning.” I spent the first eight years of my teaching career concerned about the ‘art of teaching‘, then spent the next five fixated on edTech. These first 13 years brought constant change to my professional life and I was never quite sure how things would look in two months time. It was exciting but I sometimes found teaching and keeping up with edTech tiring. So I’ve had the most fun in the last three years focused on … learning. 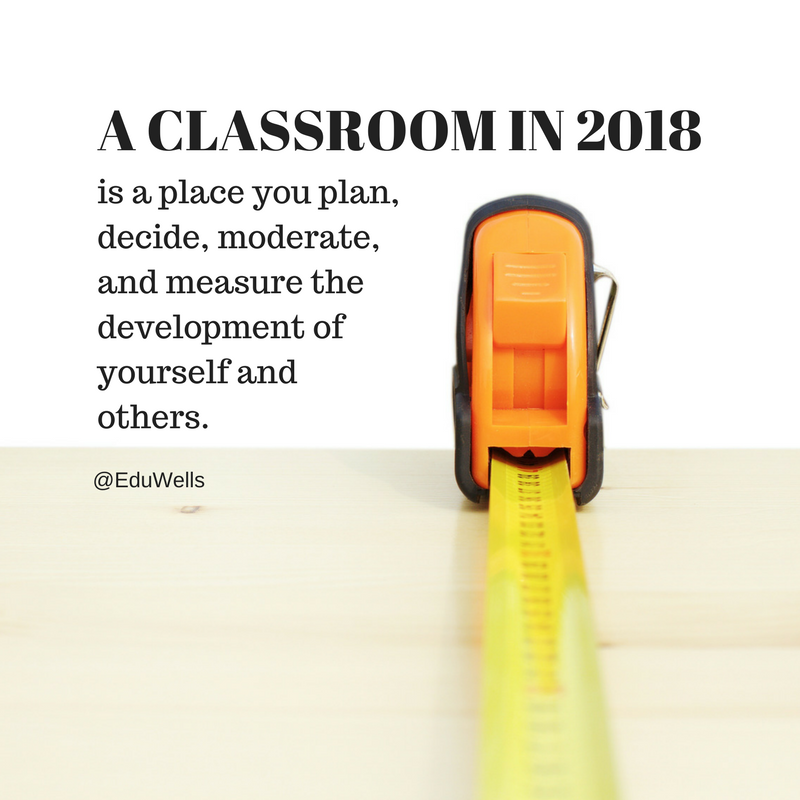 Two years ago, I wrote a post on how I’d be learning/teaching in 2016 and I’m pleased to say I could just click repost for 2018 but I thought I’d use this post to reflect on the evidence I’ve picked up in the last 24 months that I’m on the right track running my classes with a focus on how people learn more than worrying about EdTech and teaching. The world is demanding flexible learners who expect to continuously pick up skills and knowledge as needed. This is why they must expect to monitor their own progress and adapt accordingly. I have had the most successful three years of my career since shifting my teaching role to one that negotiates with students how we might make the current situation work best for everyone. Maintaining a discussion about learning with the students gives each of them a feeling they can make a difference to their own progress, regardless of their current success level. The on-going challenge is to find the sweet-spot between guiding them to make progress and allowing freedom enough to find their own best solutions and habits. The sweet-spot is found by making the negotiated and agreed targets visible to both learner and teacher. We are all better stimulated when we can visualise progress (it’s why computer games are popular). It is easier to guide students when its only a discussion about how they are on or off a clearly outlined path. Schools and universities have struggled for 20 years to keep up with innovations in most industries. Not only has technology radically altered the work place but a connected world prioritises a different skillset for success. Apprenticeships are becoming more popular again as school leavers require more up-to-date skills and resources, not always offered by further education courses. These are not just in practical trades but also in I.T, banking, and other traditionally white collar roles. This newly prioritised skillset based on one’s ability to adapt to change will continue to impact all aspects of my work in 2018. I will continue to help and encourage teachers to ensure their classrooms are not a place where you receive teaching or use edTech but a place where you plan, decide, moderate, and measure the development of yourself and others. Have fun working with your students to make everyone, including yourself, adaptive and comfortable with change.